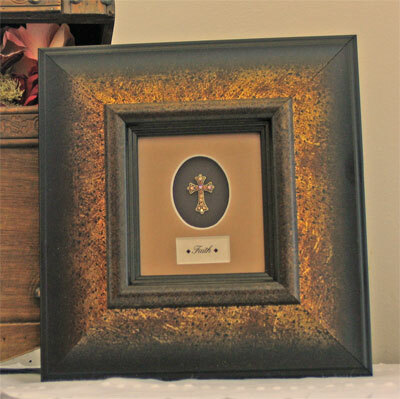 This framed cross features a beautiful Austrian and Swarovski Crystal Cross. 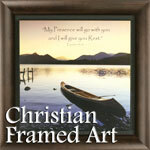 Each cross is hand selected, matted on black with a beige doublemat, and framed in a brown gold moulded frame. The frame is ready to hang and/or stand on a side table. The frame measures 8 1/2" x 9". The opening is 3" x 4". The cross measures 1" x 3/4".